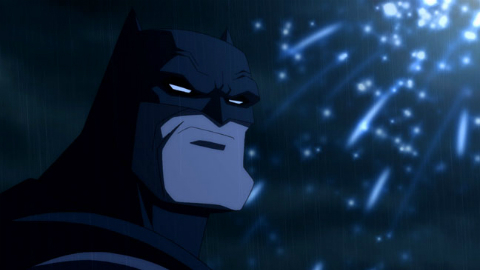 Frank Miller’s "Batman: Year One," the famous retelling of the Caped Crusader's origin story, was made into a full length animated feature last year by Warner Bros. and DC Entertainment. On the heels of B:YO's success, the comic book author's other most famous work "The Dark Knight Returns" is now also getting an adaptation. More accurately, two since the sprawling tale of an aging Bruce Wayne re-donning the cowl is being split into Batman: The Dark Knight Returns: Part 1 and B:TDKR: Part 2. Modern Family’s Ariel Winter has been cast in the role of Robin and her alter-ego Carrie Kelly. This is one of my favorite incarnations of the sidekick and Winter seems like a perfect fit for the spunky yet sharp Robin. 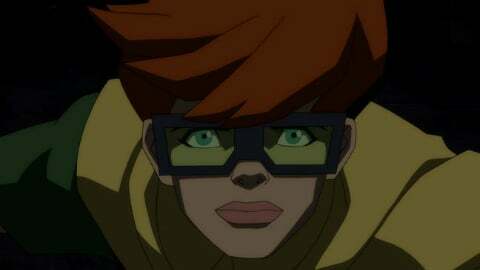 The article also caught up with Winter who said she watched the previous Batmans and asked herself, “How can I make her different from the other Robins, other than just being female? She’s really tough and she needs to have an edge in her voice so I tried a lower register for her.” Also in the voice cast are Wade Williams as Harvey Dent/Two-Face and This is Spinal Tap's Michael McKean and David Selby. The Hollywood Reporter followed up the casting news with the first few looks at the adaptation of the four-book mini-series from 1986. What do you think? The colors are definitely more muted than Miller's original (with Lynn Varney) but that was probably a wise choice. I also dig the crack at the iconic lighting bolt cover. Head over to THR for the full set of photos. With Zack Snyder once interested in pursuing a live-action adaptation of Miller's classic, it's a fitting coincidence that Jay Oliva, the artist who storyboarded Snyder’s Man of Steel, is directing the project. 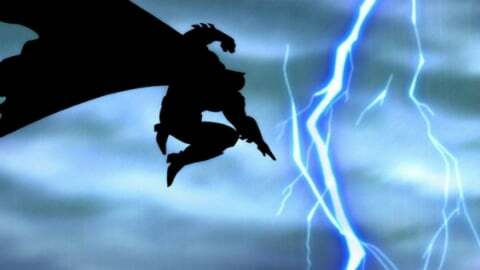 Batman: The Dark Knight Returns: Part 1 will be released this fall with the second coming in early 2013. How long before The Dark Knight Strikes Again?.